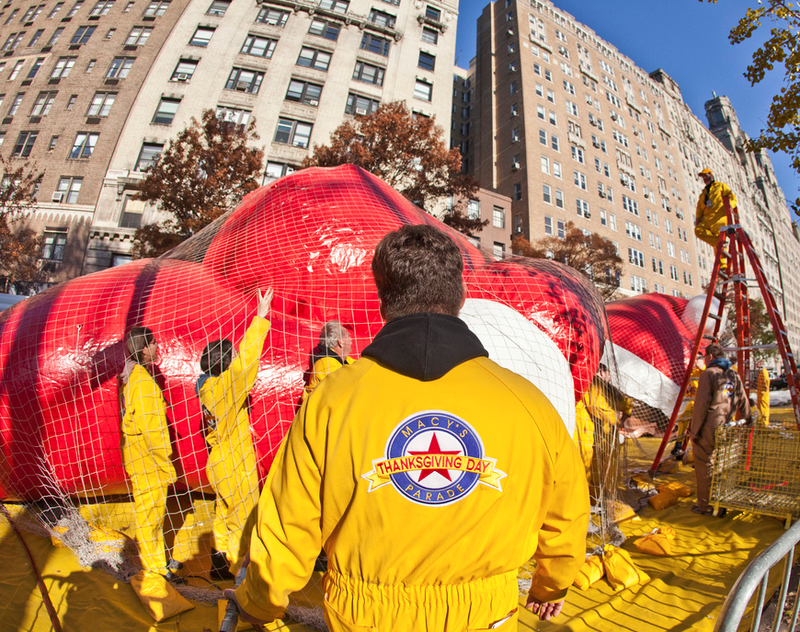 For the 2014, Macy’s Parade Balloon Inflation will be on Wednesday, November 26 from 3PM to 10PM around the American Museum of Natural History. Visitors are herded into a procession that starts at 79th Street and Columbus Avenue, and circles the museum. There are police barricades and cops in an effort to control the inevitable crowds, and the line increases as the night wears on. Around 5PM the majority of the balloons will start taking shape and by 9M all of them should be inflated. The 2014 Macy’s Thanksgiving Day Parade is the official kick-off of the holiday season and begins on Thursday, November 27, at 9AM. Every year, the Parade is seen by more than 3.5 million people who line the streets of New York and another 50 million people who tune into NBC to watch the giant balloons.